Obsequiae is up to something incredible. Dual guitar harmonies have long been a staple of metal, but most often these harmonies are accomplished through parallel diatonic thirds: the two guitars are playing the essentially same melody, separated by thirds. Examples of this abound in metal, but for reference, listen to “The Trooper” by Iron Maiden. The opening riff is repeated twice, and then twice more with the second guitar playing the same melody in harmony. In counterpoint, two or more independent melodies are set against each other. It’s a musical technique of particular interest to me and something I believe can be extremely effective in metal, but also something that only a few metal bands have touched on: Opeth (on their first two albums), The Atlas Moth, Pallbearer, and Saturnus. As melodies that sound good on their own don’t always sound good together, and as simultaneous melodies that are not sufficiently independent tend to merge into a single melodic line, it’s extremely difficult to do well. Aria of Vernal Tombs is, by far, the most extensively and the most adeptly that counterpoint has ever been incorporated into metal, and the results are stunning. 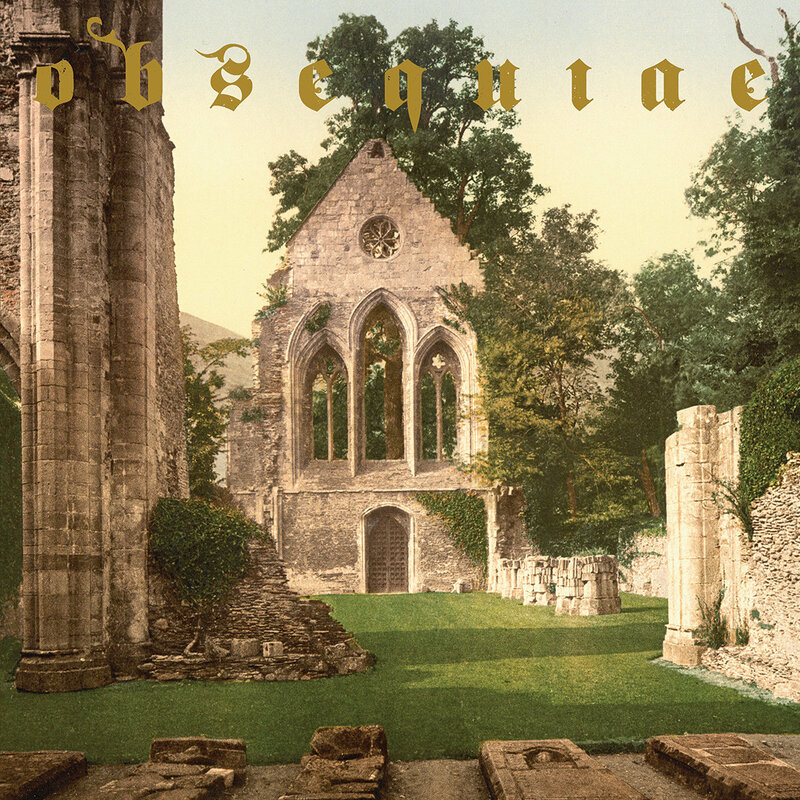 Obsequiae’s music, being entirely without precedent within metal, is not easily compared to other bands. The best label I can think of for it is “melodic atmospheric black metal,” but they sound not at all like Agalloch and Falls of Rauros, nor Dissection and Sacramentum. The music is highly melodic, but this style of melody, drawn from early music (European classical music prior to the Baroque period), has, to my knowledge, never appeared in metal before. Opeth’s first two albums are the closest reference, and I suspect that fans of the melodic approach taken by the recent and also superb Gods of War – At War by Macabre Omen will likely find Obsequiae’s melodies very enjoyable, even though the two bands are not especially similar. Even aside from the contrapuntal element, the melodies are beautiful, each of them reverent and majestic. They’re not hooks as you would normally think of them–I don’t find any of them sticking in my head, perhaps because they’re all so thoroughly intertwined that they can only exist in the full context of the music–but they will bring you back. Vocalist Tanner Anderson gives a superb performance, an expressive and dynamic black metal rasp that also hints at the style of early death metal like Death and Possessed. Adding to the atmosphere and the connection with early music are interludes performed on the Medieval harp by Vicente La Camera Mariño. These songs are not filler; they’re pulled directly from the musical traditions from which Obsequiae draw their influence and are performed with exquisite sensitivity. An album composed entirely of these songs would be welcome in any collection of early music. There is a flaw, and it’s a quibble, one that barely warrants mentioning, but as superlative as I’ve been I think my readers might wonder why I haven’t rated this 10/10. The songs are beautifully written and have grand and epic arcs, but tend to end very abruptly and unexpectedly. The music does not develop as an album; it’s simply one gorgeous song after another. They can be listened to in any order without changing the experience, and the album likewise ends quite suddenly. Obsequiae’s prior album, Suspended in the Brume of Eos, is of much the same character and quality (sudden endings included). Both have been in heavy rotation since Aria of Vernal Tombs introduced me to their music, especially on days when the sun comes out after the rain and glistens on the wet spring growth, and they both have my highest recommendation. This metal is timeless.